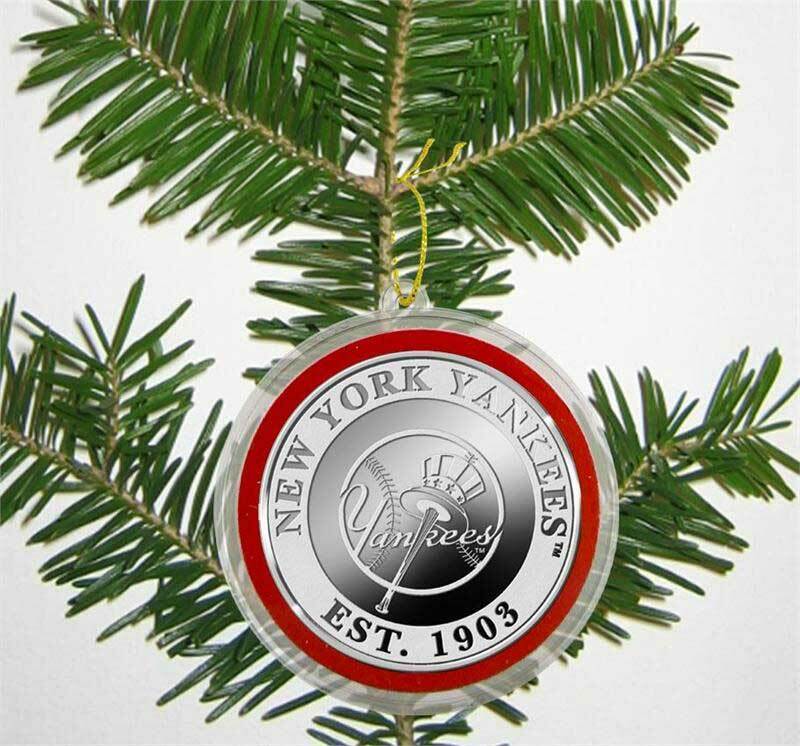 An MLB Commemorative Coin minted with your team logo on the front is protected in an ornament capsule. Delivered ready to hang on your Tree. Each coin measures 39mm in diameter and is struck in precious Fine Silver plate over solid bronze. Delivered in a custom 4" x 5" gift bo x. Each coin is accompanied by a Certificate of Authenticity and Officially Licensed by MLB. Framed Sizes (L)8", (W)4", (H)1"